١ People enjoy a barbecue as they bath in a hotpot-shaped hot spring filled with fruits and vegetables, at hotel in Hangzhou, Zhejiang province, China. 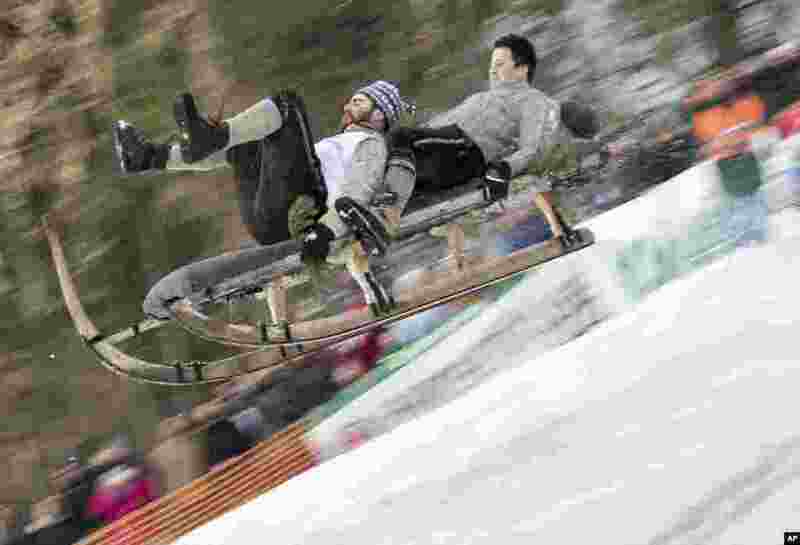 ٢ Two men ride down in a traditional sled called a Schnabler during a race in Gaissach, southern Germany. 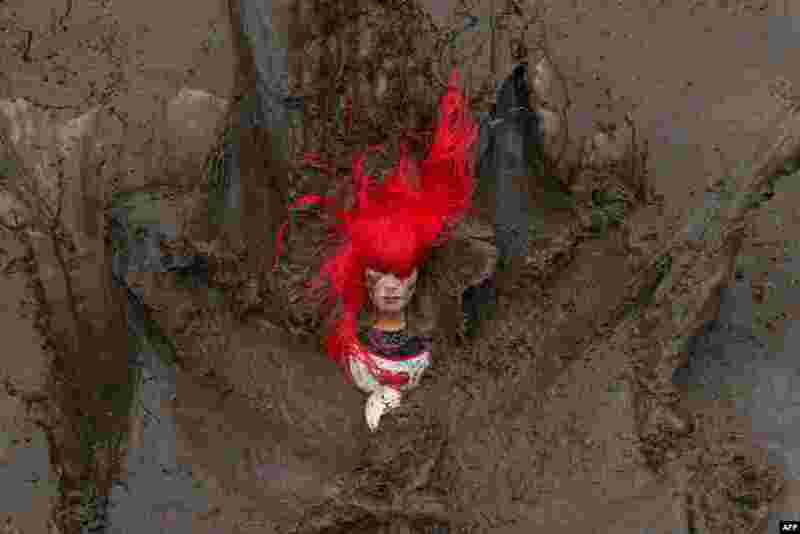 ٣ A competitor falls in a muddy pool in the Tough Guy endurance event near Wolverhampton, central England. 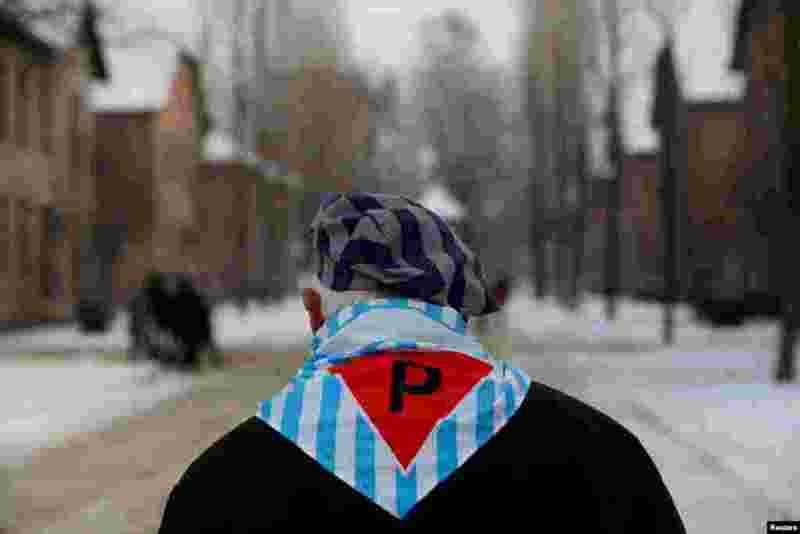 ٤ A survivor is seen at the former Nazi German concentration and extermination camp Auschwitz, as he attends ceremonies marking the 74th anniversary of the liberation of the camp and International Holocaust Victims Remembrance Day, in Oswiecim, Poland.